THE alleged right-hand man of British drug Lord Robert Dawes has been arrested in a safe house in Torremolinos. 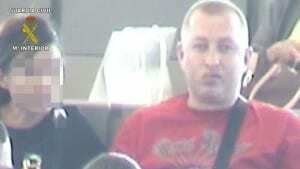 Dutchman Emiel Brummer, 42, was picked up following Dawes’ arrest and extradition to France last year, where he is accused of heading ‘the largest organisation in Europe devoted to drug trafficking, money laundering and murder’. The Guardia Civil said Brummer has been linked to the murders of at least 15 people in the last three years, and continued to visit the Costa del Sol after his boss’ arrest in a bid to keep the organisation active in Spain.